Boost up your promotions in 2010! Jump-start the intensity of your promotions! Improving relationships with clients is no sweat in 2010. Think about what’s on their mind and find brain-stimulating promotions for your advertising campaign. Now that it’s a new year, they are setting goals for a better 2010. 45% of Americans make new resolutions every New Year. Among the top are weight loss, fitness, health, and money management. Use Healthcare/Fitness products to get their butts into gear. Help boost business with Industry Related items. Useful giveaways increase ROI. Studies have shown that people who receive promotional items and incentive products keep them for a long time. Therefore, they act as constant reminders! Today’s Featured Product: Digital Scale. It’s lightweight and compact. 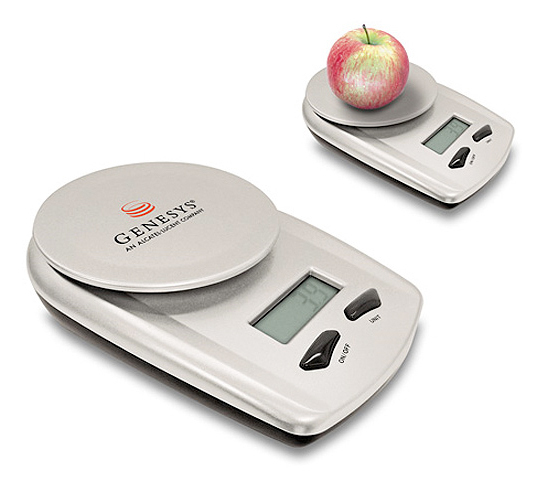 This digital scale keeps count in both standard and metric calibrations. As low as $9.39. It has a great imprint area right on the scale. They’ll see your logo every time they use it! Rudee December 31, 2009 Comments Off on Boost up your promotions in 2010!